Alerts are enabled using a special Data Pipeline called ‘AlertSubsystem’, which could only be deployed by Super User. 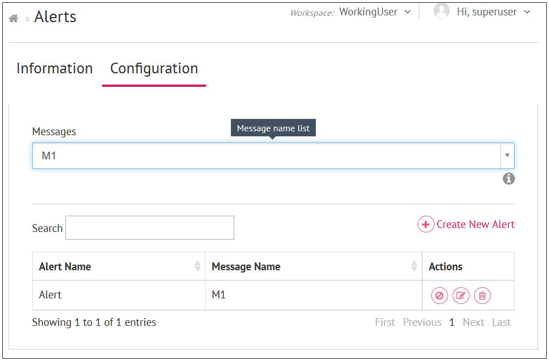 You can select one or more workflows on the basis of which the flow of notification through alerts will work. Application – This shows notification alerts applied on the applications. System – This shows the alerts applied on Data Pipeline for its components and System Health Metrics of CPU as well as system error. 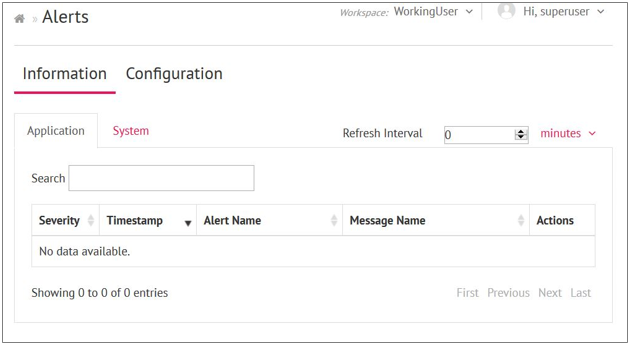 Since you have created messages to function upon data pipelines, there will be a requirement for alerts both on System Data or Business Logic. This is where you require Alert Configuration. Alerts facilitate you to get notified every time the given criteria for alert is satisfied. This feature is enabled using a special Pipeline called AlertSubsystem, deployed by a Super User.